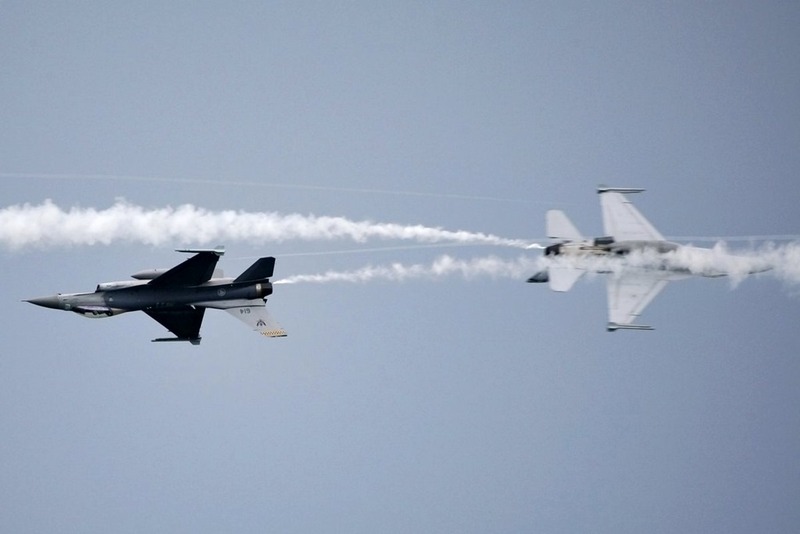 An F-15SG and two F-16C fighter jets to perform a 15-minute show composed of 15 stunning aerobatic manoeuvres. Republic of Singapore Air Force shows its new demo team at the national airshow. The Republic of Singapore Air Force (RSAF) will present several assets and platforms during the coming Singapore Airshow 2018, including a new three-ship aerobatic team. One F-15SG and two F-16C fighter jets will perform the first integrated aerial display, executing 15 stunning aerobatic manoeuvres. 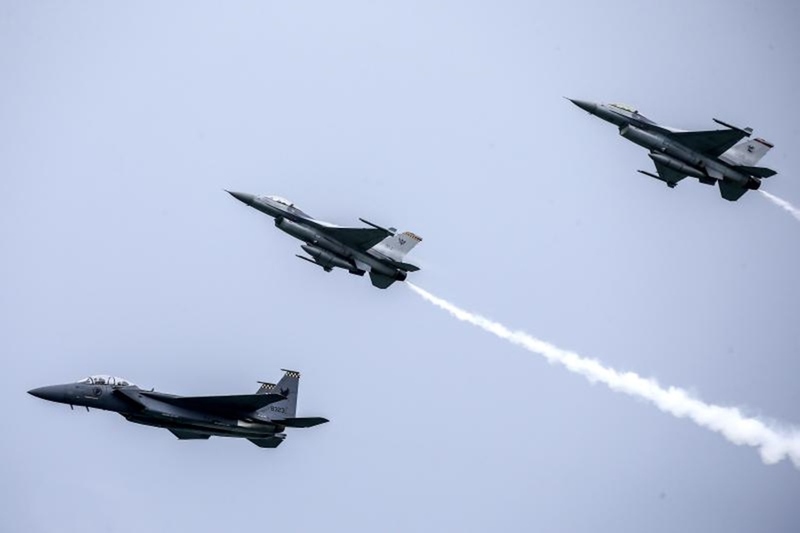 The first public performance of the three fighters took place on February 2 at the Changi Exhibition Centre when the RSAF introduced the team to the media. According to the comments posted on the web, the audience was impressed by their performance. New manoeuvres include high speed passes, spirals, barrel rolls and "the victory flypast", where the three aircraft approach the show centre from the left in a "V" formation, executing a synchronised roll in front of the crowd, before pulling away shooting flares. The pilots trained for tree months to prepare this new show. The team is composed of six pilots and two weapon systems officers. It was established as part of the celebrations to commemorate the RSAF 50th anniversary. The general public will be able to admire their 15-minute display on Feb 10 and Feb 11, twice a day. In addition to the three-fighter-demo, the RSAF will show on the ground several aircraft including AS 332 Super Puma, CH-47 Chinook, F-16D+, F-15SG, G550 AEW, C-130, S-70B Sea Hawk and AH-64D Apache.